Your kitchen backsplash peeps out between your appliances and cabinetry, but you should never underestimate its significance. It can either steal the spotlight from your oven cooktop or sink, or serve as an understated unifier. Ultimately, the beauty of a backsplash lies in the eye of the beholder. 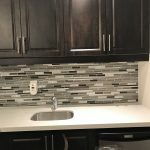 There are many tiling options to choose from when it comes to your backsplash and making the decision can be quite a hassle. 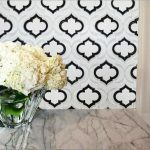 Here is what you need to know before purchasing tiles for your backsplash. 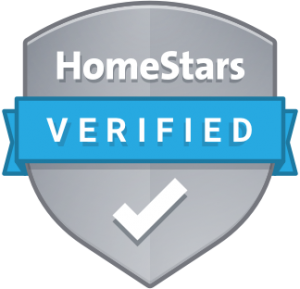 You need to know the amount of tile you will require for your backsplash. You can get the total area by multiplying the height by the width of your wall so as to determine the total square footage. This will tell you how much product you need. 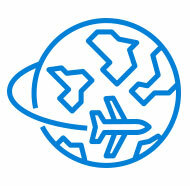 Account for an additional ten percent to cover damages and wastage during the installation process. There are two areas in the kitchen that naturally appeal to the eye. They are the space above the sink and above the range. When you are thinking of installing intricate designs, those are the two areas that you need to focus on. If you want a modern look for your kitchen backsplash, consider extending the backsplash tiling so that it wraps around the room. Although it will cost you more than you probably anticipated, it is a visual trick that pays off since it expands the size of a small kitchen. 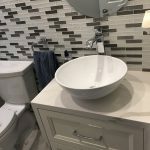 Even though the tiling industry continues to evolve and come up with new solutions, conventional tile options are still the most popular material for backsplashes. As such, consider tiling options such as natural stone or ceramic tiles. They bring a classy and rustic look to your kitchen. 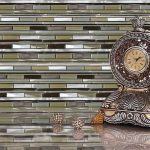 Glass may be a beautiful option for your backsplash, but it is quite costly. Natural stone is extremely visually appealing, but requires updated sealing every so often. 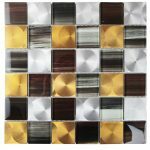 If you cannot handle all the aspects that come with a particular tiling option, it is best to stick to an option that will be hassle-free. One such option is ceramic tiles. Aside from being durable, they are also cheap and easy to clean. Trying to match your tile work will often result in a bland look. Aside from that, it can be costlier depending on the color you choose. Play with corresponding colors to round out a pallet and play with patterns by arranging the tiles vertically rather than horizontally for a stacked and modern look. Different tiling materials have different sealing needs. Materials such as marble and granite require resealing once yearly while travertine requires resealing every two years. On the other hand, consider investing in good grout. 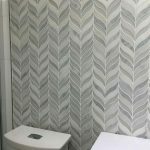 This is because while pattern and color trends come and go, grout is the pillar of your backsplash and you cannot afford to go wrong with it.